Step 1: go to the menu located on the upper bar of OpenWriter and in Tools access the Extension Manager. Step 2: a pop-up window will open with the list of extensions already installed in OpenOffice. As there aren’t any for PDF documents, click on the button that reads Get more extensions here at the bottom of the window. Step 3: you’ll access a web with extensions for OpenOffice. You’ll have to make a search to find a tool that allows you to import PDF documents, being able to choose PDF Import Extension for Apache OpenOffice. This one in particular works without any problems with version 4.0 and above of this office suite. Step 4: once downloaded from the extension manage, click on Add and choose it from the hard drive location you downloaded it to. Step 5: now start the installation process, accepting the license contract. Once done, you’ll be able to enable the extension from the management panel. 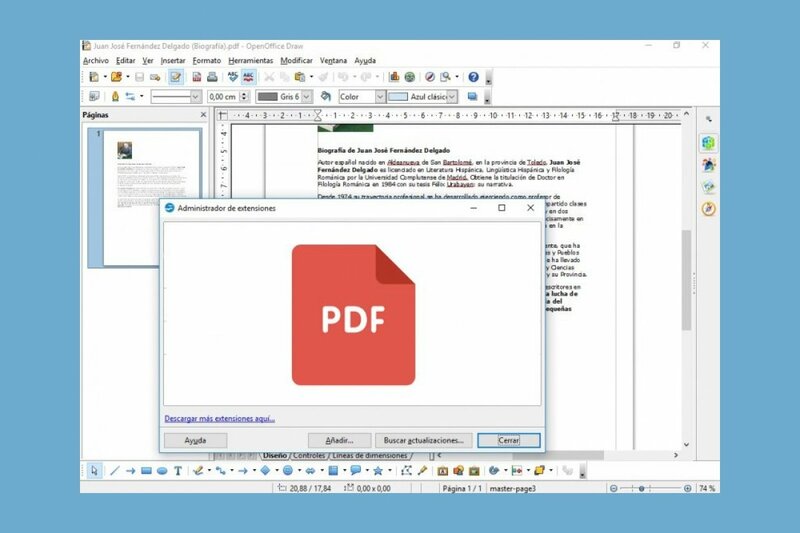 You’ll now be able to import documents generated as PDFs whilst you can also save your documents straight in this format thanks to the icon you’ll see on the upper toolbar, just under the Format tab. OpenOffice is an office suite that offers us loads of different options and advantages. One of them is the possibility, as you’ve seen above, that it offers developers to create their own extensions due to the fact that it’s open source. That means that you can provide the program with functions that aren’t include by default, as is the case of editing PDF documents as we’ve just seen.